Oxford Court homes are located in the coastal community of Irvine, California. The Oxford Court neighborhood is located in the heart of the University Town center. The majority of the townhouses situated here were built between 1986 to 1990 and feature two to three bedroom floor plans that range in size from 980 to 2,350 square feet of living space. Some of the features found in these homes can include garden windows, high ceilings, large walk-in closets and attached garages. The Oxford Court community has two monthly association dues required which includes the Oxford Court homeowners association and Town Center. 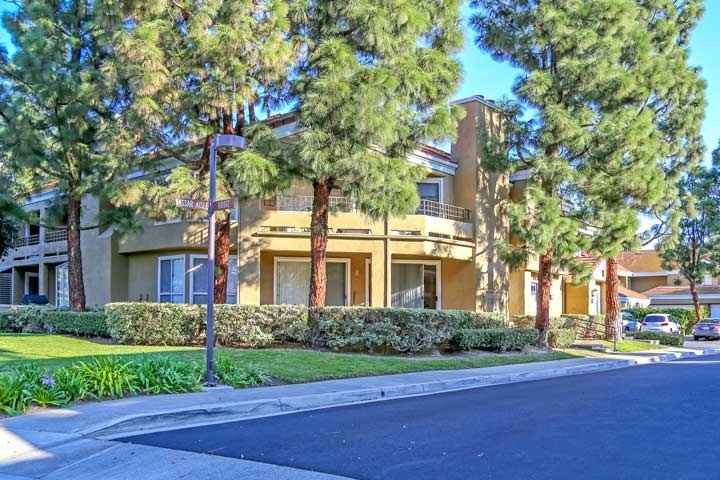 The association provides a nice community pool, spa and tennis area with a location that's within walking distance to the Marketplace shopping center and the University of California, Irvine. Below are the current homes for sale and for lease in the Oxford Court neighborhood. Please contact us at 888-990-7111 for more information on this community and any of the homes listed for sale here.